The difference between a pan pizza and a deep dish pizza is in the crust. 4 What Is a Braising Pan? 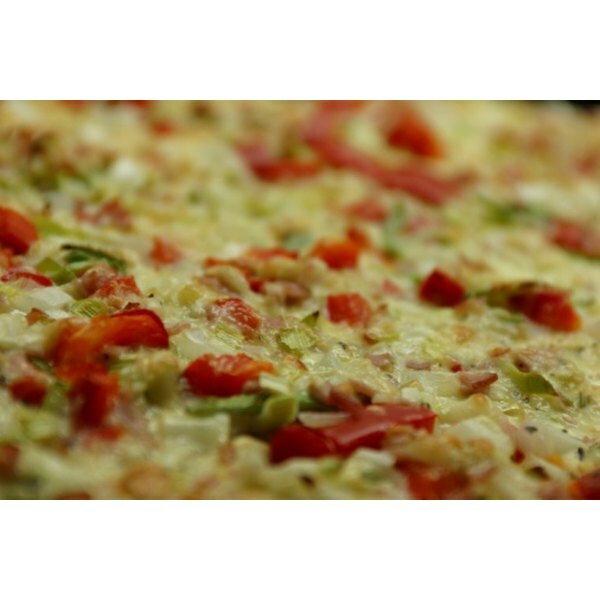 Thin crust, pan, deep dish and stuffed crust are among the most popular styles of pizza today. The two most similar are the pan and deep dish pizzas. Both are baked as well as served in a metal pan. However, there are subtle differences in the making of their crust. 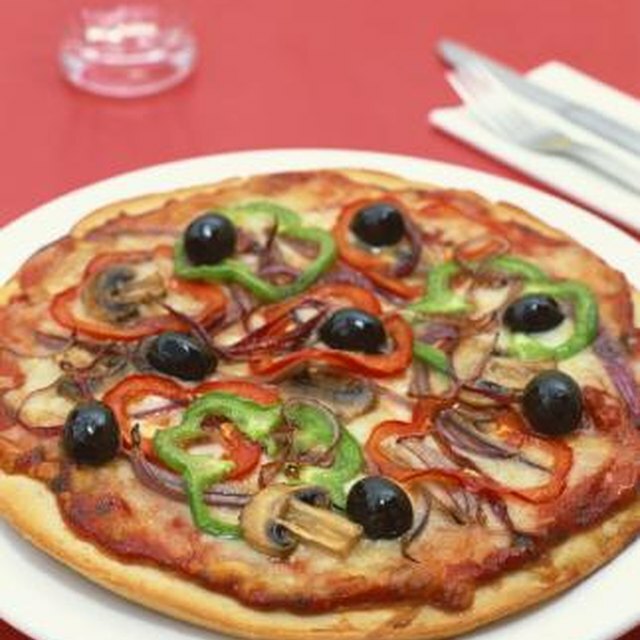 Pan pizza dough differs from a deep dish's pizza dough in that it contains powdered milk. Deep dish pizza dough often contains cornmeal. After mixing and kneading, a pan pizza crust is rolled out, placed in the baking pan and allowed to rise in the pan. In contrast, deep dish pizza dough rises first, then is placed in the pan. Pan pizza dough sits directly under the tomato sauce. The cheese and toppings are placed on top of the tomato sauce. In contrast, deep dish pizza dough is covered with cheese, then the sauce. This prevents the crust from becoming soggy. Pan pizza bakes for longer, about 40 minutes. Deep dish pizza takes only about 25 minutes to bake.